There’s just something about a blizzard that brings out the inner kid in all of us. While everyone was pretty much snowed in,I couldn’t resist venturing out into the elements for a good old fashioned snowball fight (which would be me torturing my photographer). 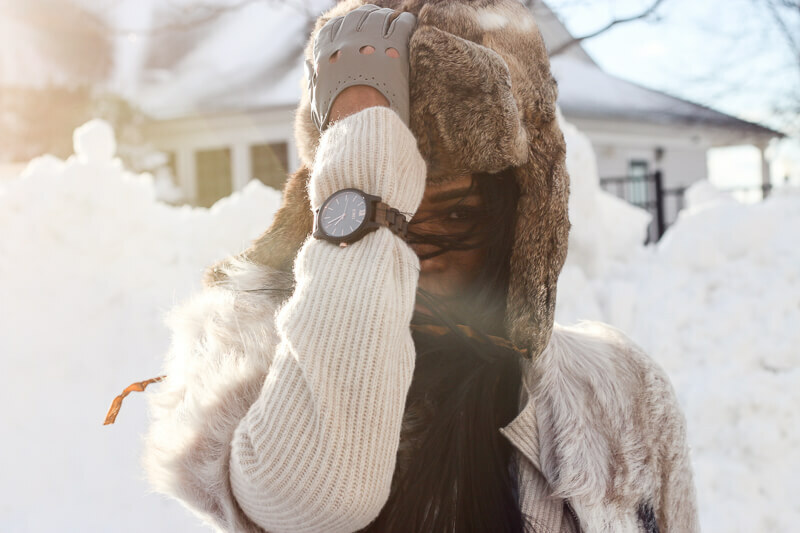 I partnered with Jord watches to bring you my version of a snow day decked out in my Frankie series watch .